PS4 is short for PlayStation 4 which is the fourth home video game console developed by Sony Interactive Entertainment in 2013. With the powerful accelerated Processing Unit (APU) which combines central processing unit (CPU) and graphics processing unit (GPU), as well as memory controller and video decoder, PS4’s technology specifications are similar to the hardware in a personal computer. You can have the best video game experience with PS4. Besides, the PS4 also supports audio and video playback. Basically, PS4 supports MKV, AVI, MPEG, MP4 as well as Blu-ray Disc. As one of the creators of the Blu-ray technology, it just makes sense that the PS4 supports Blu-ray playback. And with the release of Avatar in 3D in 2009, 3D became more popular than ever. 3D Blu-ray started to emerge and grow in popularity ever since. Can PS4 play 3D Blu-ray movies? Can PS4 play 3D movies? When first released in 2013, the PS4 doesn’t support 3D Blu-rays, but that didn’t last long. Sony released a software update in mid-2014, adding the support for 3D Blu-ray playback for the PS4. 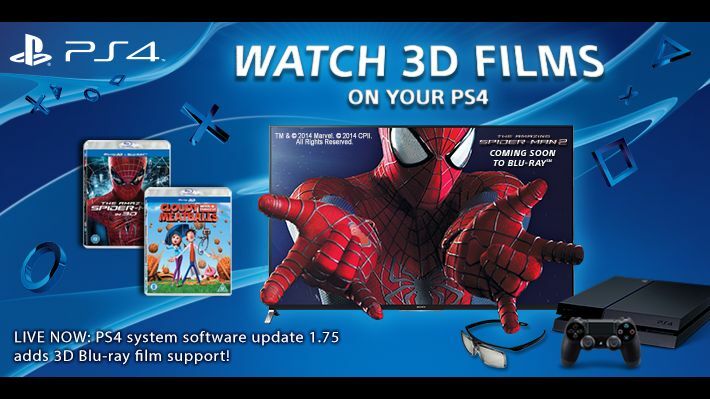 Users are able to play 3D Blu-rays on the PS4 after updating the software. Can PS4 play 3D movies? It can as long as you got all the things needed. In order to have the perfect 3D movie experience, there are a few things needed. 1. Update the system software of your PS4 to 1.75 or later if your PS4’s still running on an earlier version. 2. A 3D TV to display the 3D Blu-ray movie. 3. A suitable pair of 3D glasses to watch the 3D movie. If you’ve got all the things ready, then put the 3D Blu-ray disc in your PS4, hook it up to your 3D TV and start to enjoy the amazing visual effect of the 3D Blu-ray movie. If you have a 3D TV and a pair of 3D glasses and the only thing you are lacking is a 3D Blu-ray disc, try making a 3D Blu-ray movie out of an ordinary 2D Blu-ray disc by yourself. There are two programs needed to make a 3D Blu-ray movie for the PS4. 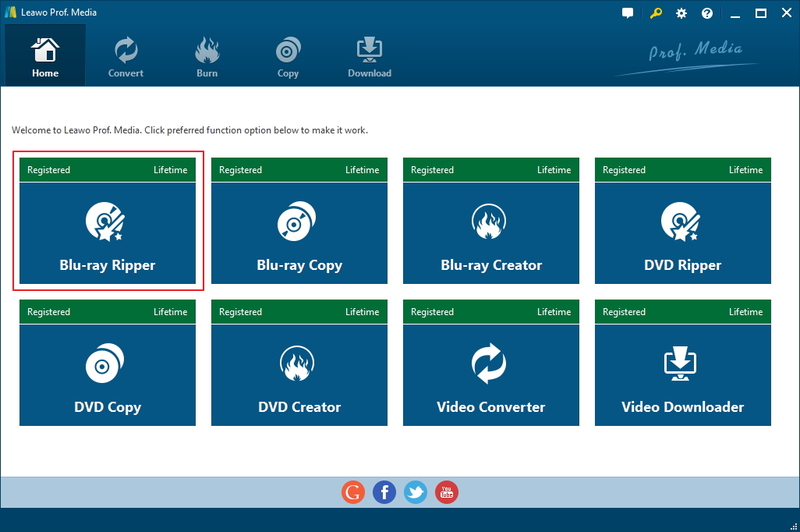 The first program is called Leawo Blu-ray Ripper and the second one is called Leawo Blu-ray Creator. We are going to use Leawo Blu-ray Ripper to make a lossless digital copy of your 2D Blu-ray movie and convert the 2D video to 3D with it as well. And then we would use Leawo Blu-ray Creator to burn the video with 3D effects to a Blu-ray disc. First, let’s walk you through the Blu-ray conversion process. This part is about how to convert your 2D Blu-ray movie to a lossless MKV video with 3D effects. The Leawo Blu-ray Ripper is a powerful Blu-ray ripper program that’s capable of converting Blu-ray to various formats including lossless MKV, HD MP4, WMV and more. 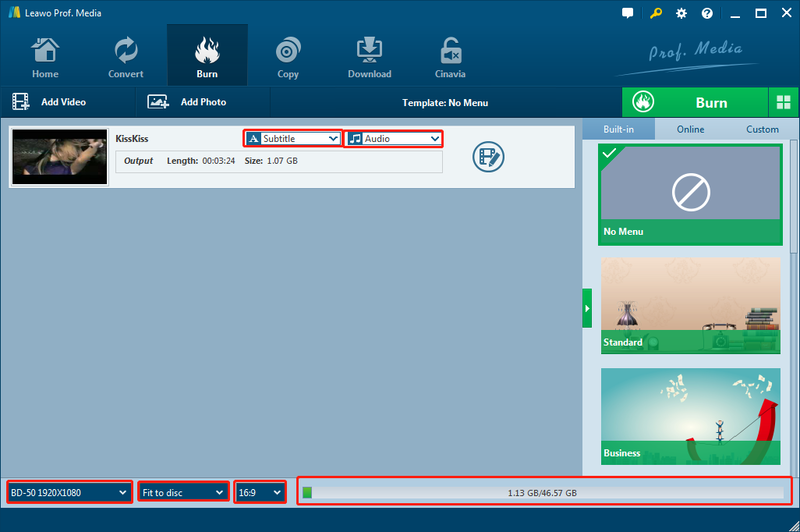 The Leawo Blu-ray Creator is a powerful piece of disc burning software that can help you burn all kinds of videos to Blu-ray/DVD discs. 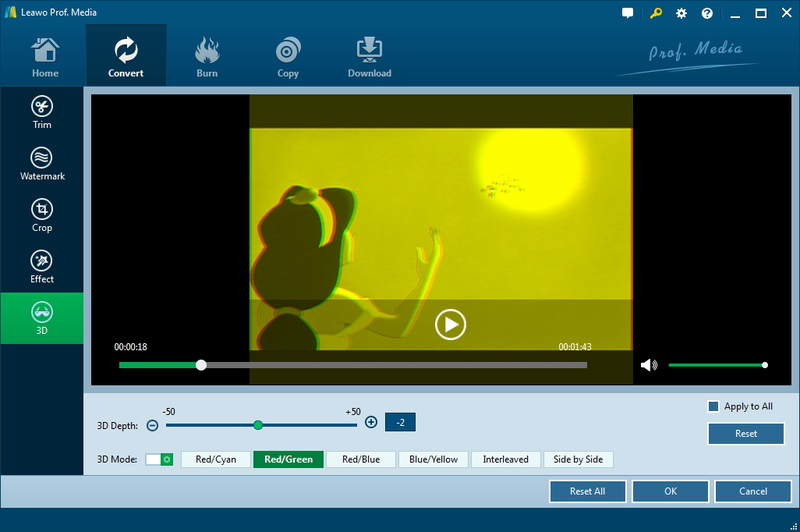 Note that both Leawo Blu-ray Ripper and Leawo Blu-ray Creator are packed inside the same software suite called Leawo Prof.Media. Here’s how Leawo Blu-ray Ripper works. Directly download Leawo Blu-ray Ripper from the Download buttons below. First launch Prof.Media on your computer. The shortcut to opening Blu-ray Ripper lies right in the main interface of Prof.Media. Click on the Blu-ray Ripper icon to open it. Insert your Blu-ray disc in your Blu-ray drive and then start to load the data in the disc to the program by clicking Add Blu-ray/DVD>Add from CD-ROM. The following menu will display the name of your Blu-ray disc. Click on it as you see it and the data will start to load. Typically a Blu-ray disc contains more videos than just the movie. Considering that you might not need all the video clips to be included in the 3D disc you are making, so the program offers you with 3 options to choose different videos in the disc to rip and convert. On top of the video list on the left side, you will see 3 buttons, namely Full Movie, Main Movie and Custom Mode. If you choose Full Movie, the program will help you rip all the videos in the disc. Main Movie mode is used for when you only want to rip the main movie. Custom Mode enables you to select the videos you need manually from the list. After selecting a button and needed videos(if necessary), click OK to move on to the next step. Leawo Blu-ray Ripper offers various kinds of output formats for you to choose. To keep the movie on the highest level of quality, the lossless MKV format is the most ideal choice. 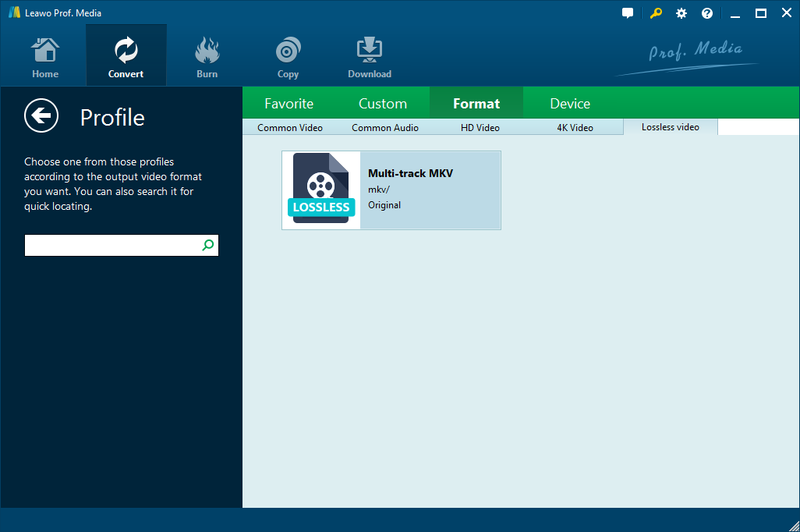 Click MP4 Video>Change to open the format panel and click Format>Lossless Video and choose Multi-track MKV. On each video file you will find an Edit button. Click on it to open the video editing panel. And then click 3D from the left sidebar. Click the 3D Mode button and then choose a 3D effect from the provided effects. You can adjust the depth of the effect by dragging the indicator on the 3D Depth bar. Check Apply to All if you want to apply the 3D effect on all the videos you’ve chosen to convert to MKV. Click OK to return to the video list. Click the Convert button from the upper-right of the program interface. A sidebar would emerge with the default output directory and a Convert button on it. What you need to do is set output directory for the MKV video and click the Convert button to enable the program to start converting the 2D Blu-ray movie to a lossless MKV video with 3D effect. Now that you have a lossless MKV video with 3D effects, you can now start to consider burning the MKV video to a Blu-ray disc to make a 3D Blu-ray disc. 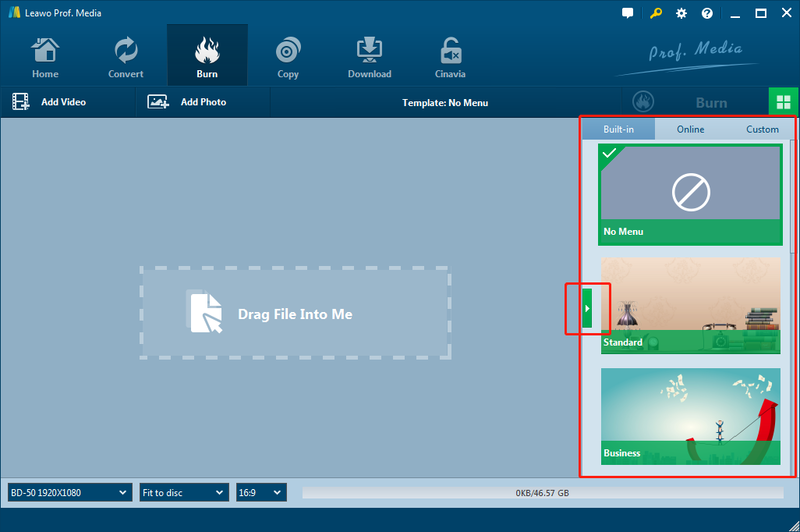 As is mentioned before, you can use Leawo Blu-ray Creator to do it for you. 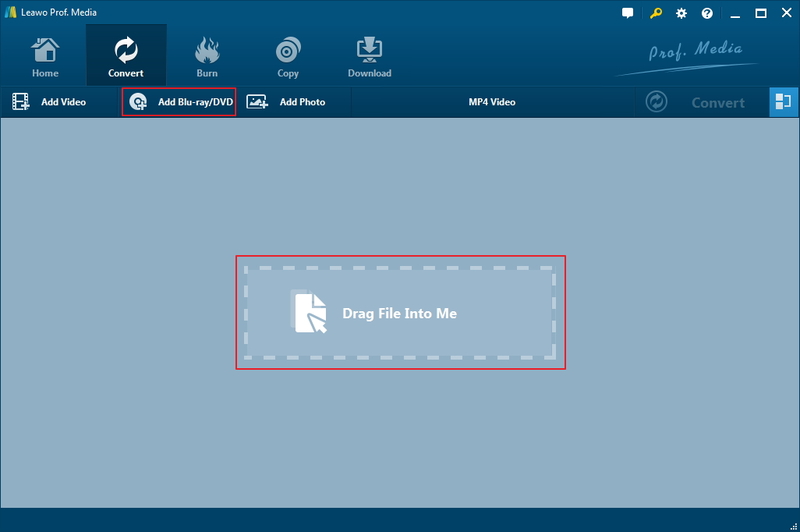 Here’s how to burn the lossless MKV video to a Blu-ray disc using Leawo Blu-ray Creator. 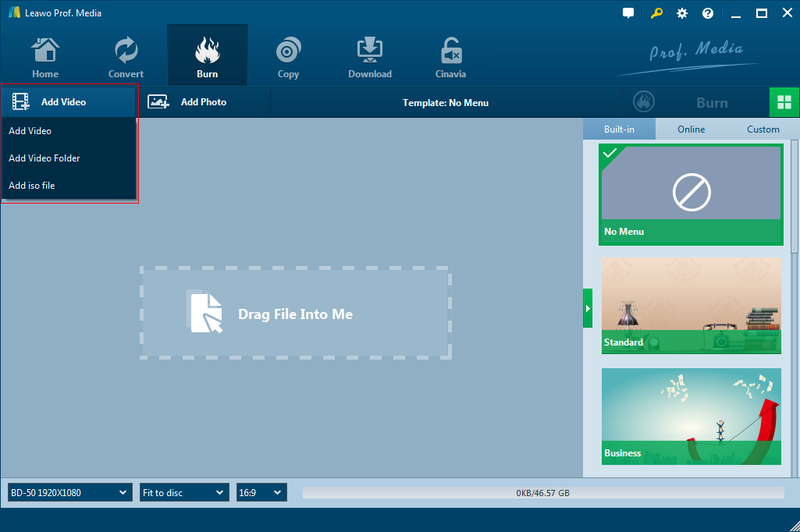 Download Leawo Blu-ray Creator from here. Step 1. Open Prof.Media and click Blu-ray Creator to open it. Step 2. Click Add Video and select Add Video from the drop-down menu to import the lossless MKV video to the program. Step 3. Click DVD-5 from the bottom-left and select BD50 or BD25 according to the format of the rewritable Blu-ray disc you are burning the video to. Step 4. Choose a disc menu template from the sidebar on the right for the Blu-ray disc. You are allowed to customize the menu template if you want to. Step 5. Click the Burn button on top of the right sidebar. On the following sidebar, you have 3 options. Check Folder and the program will convert the lossless MKV video into a Blu-ray folder and save the folder to your hard drive. Check ISO File and the program will convert the lossless MKV video into a Blu-ray ISO image and store it on your hard drive. To burn the lossless MKV video to the recordable Blu-ray disc in your Blu-ray burner, check the third-option. Start the burning process by clicking the Burn button at the bottom of the sidebar. If you haven’t got yourself a 3D TV, maybe it’s time to start looking as most TV manufacturers have stopped making 3D TVs and instead turned to other new features like 4K and HDR. So the number of 3D TVs you can buy are dropping rapidly in recent years. Below are two of the best 3D TVs you can buy in 2018. 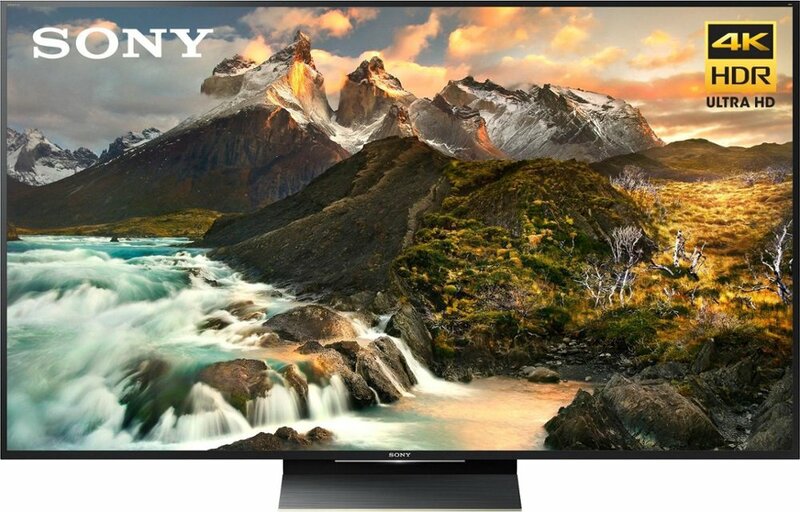 By sporting a gigantic 64.5-inch 4K screen with HDR, the Sony Z9D Series TV is made to amaze people with its incredibly gorgeous visual effect. It delivers vibrant colors and provides 16 times the contrast of ordinary LED TVs and gives you a more vivid 3D Blu-ray movie watching experience. 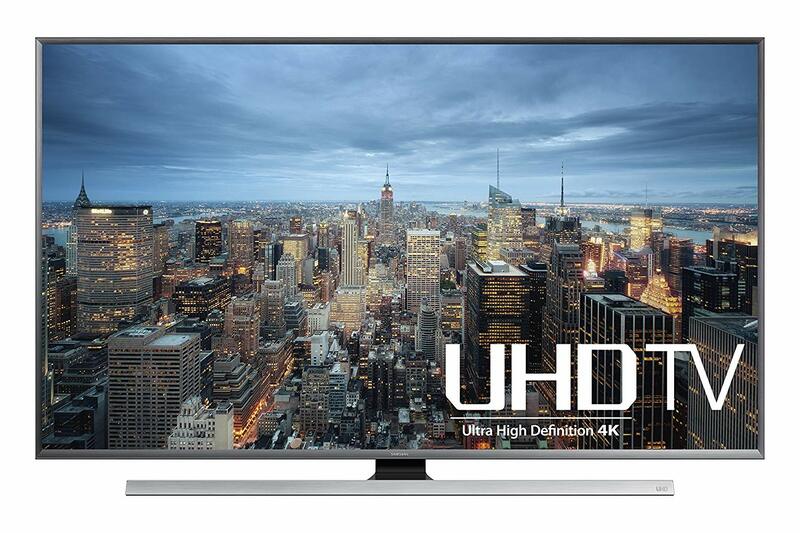 It features HDR Remaster technology that can make every image displayed on the screen as lifelike as possible. Also, you can play 3D Blu-rays in 4K UHD resolution and it packs in two pairs of 3D glasses for its 3D capabilities. The 3D capabilities of the Samsung JU7100 are more powerful than you’d expect. It can display 3D Blu-ray movies from 3D Blu-ray players and other 3D sources. It can even perform instant 2D to 3D conversion. While currently most of the 3D videos are stuck in 1080p resolution, the Samsung JU7100 is able to upscale it to 4K to give you the best 3D movie watching experience. Note that the 3D glasses are not included with the TV when you purchase it, you’ll have to pay extra money for them after buying the TV. Does PS4 play 3D movies? With the right software and hardware for the PS4 3D Blu-rays are not a problem. If you really enjoy high quality 3D movie watching experience with the PS4, you might want to get a 3D TV soon as they are rapidly disappearing from the TV market. Actually, a lot of people are convinced that 3D TV is dead. There might never be a 3D TV you can buy in the future.